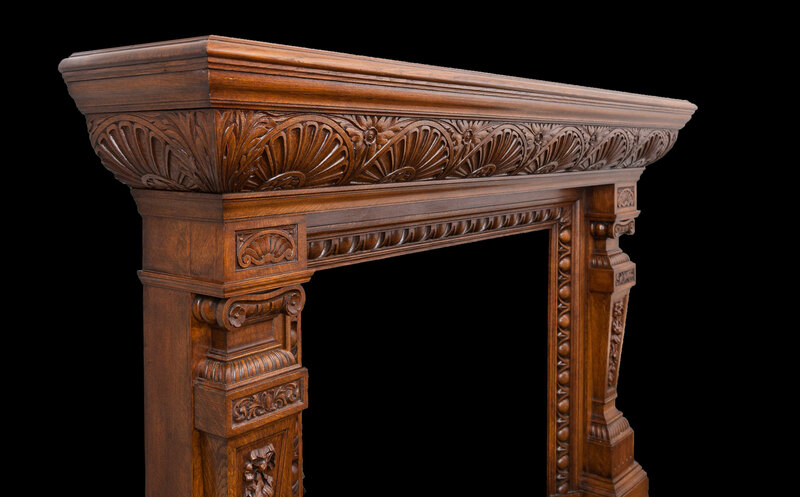 A substantial cornice shelf decorated with half paterea and acanthus leaves is supported by two jambs. 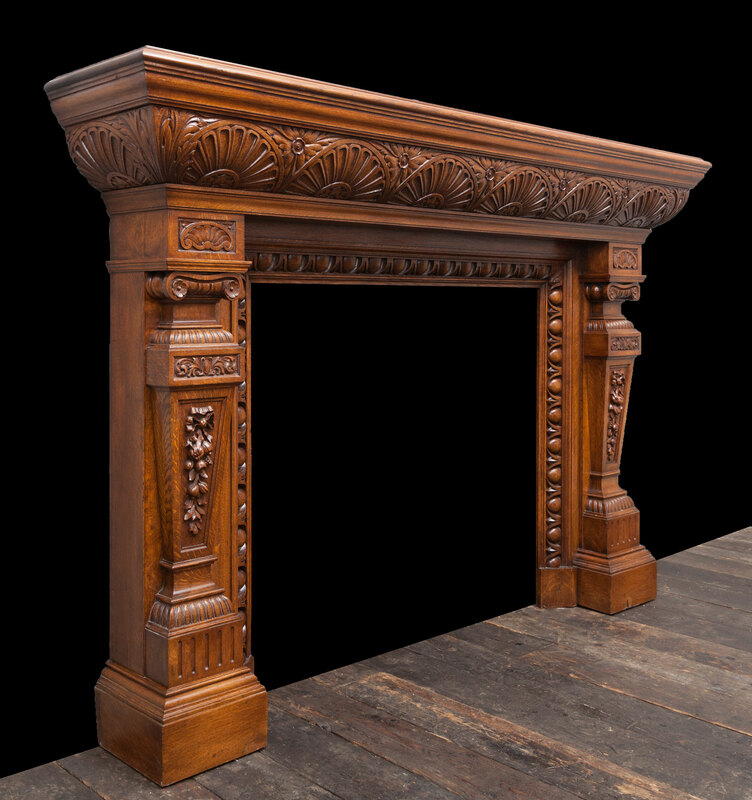 The jambs consisting of carved pilasters below ionic capitals and scallop shell corner blocks. 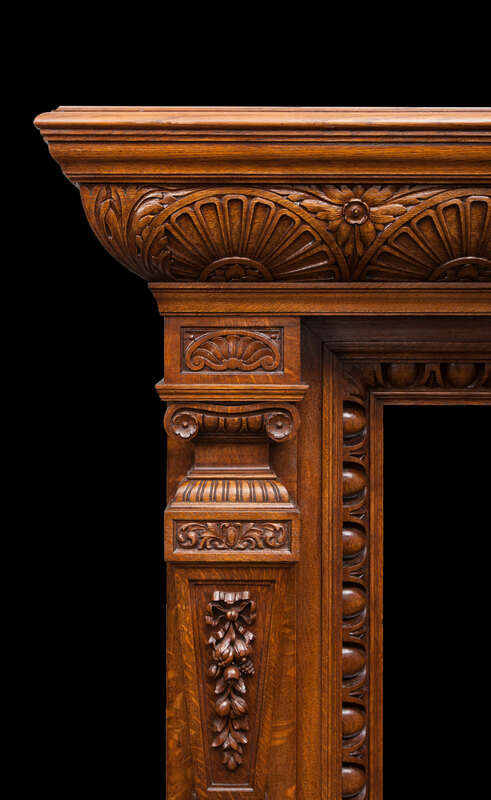 The fireplace opening is framed by a large egg and dart moulding. 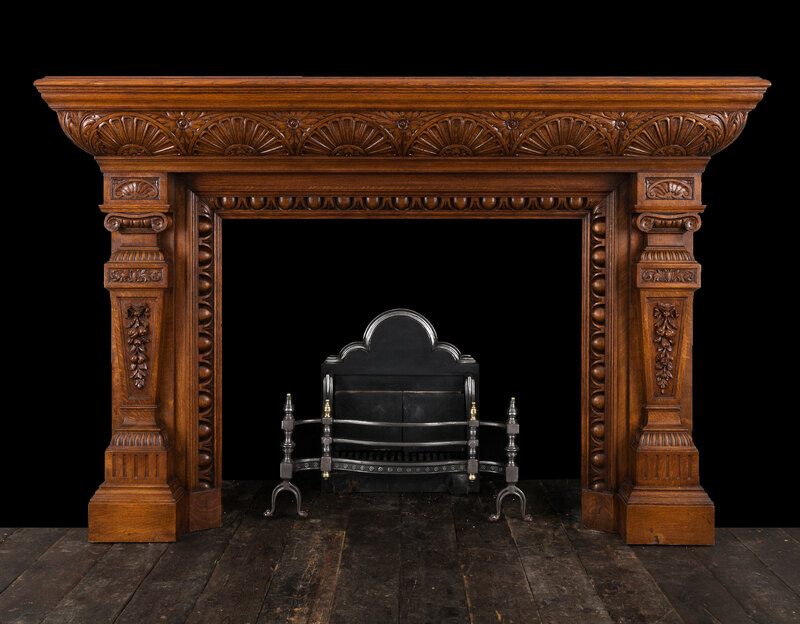 A well proportioned mantelpiece with great quality carvings, made from a warm honey coloured English oak with good patina.